Mormon filmmakers often use a real event to enhance the faith of fellow Latter-day Saints. Because of their limited audience, many of these films make the rounds on movie screens in the Utah, Idaho, and Wyoming; states with higher than average LDS populations. Actually, that description is a bit misleading. David and Doris Young did, in fact, enter the Cokeville school with guns and a homemade gasoline bomb. David once served as the town’s marshal. He did not hold the position for very long as he was dismissed shortly after his six-month probation period ended in 1979. The two left Cokeville and moved to Tucson, Arizona. While there, David came up with a plan that involved extorting a ransom of $2 million each for those he planned to take hostage at the school. David and Doris arrived at the school with guns and a shopping cart containing the bomb. The shopping cart was in the center of classroom number four where the hostages were held. A shoelace connected David to the detonator. When the children began to be restless, they sang songs, read books, and watched television. Some gathered in small groups and prayed. After a 2.5-hour standoff, David took the string off his wrist and tied it to Doris as he went to a nearby restroom. While he was gone, Doris jerked her arm and triggered the device, causing severe burns but not death. David, seeing his wife in extreme pain, shot his wife, went back to the restroom, and shot himself. Seventy-six of the hostages suffered injuries from the blast. Many claimed it was a miracle that more were not hurt or even killed. Investigators found that only one of the blasting caps used in making the bomb actually detonated. Survivors shared their stories with each other, investigators, family members, and hospital personnel. In the days and weeks immediately after this event, most accounts focused on the horrors of the day. As time progressed, however, a different story emerged in this highly religious and largely Mormon community. It became a story of a miracle rather than a tragedy. Oral histories, memoirs and drawings began to reveal a narrative of fortune rather than misfortune. Survivors began to tell their stories through a spiritual lens. They increasingly spoke about their memories in public with professional psychologists, church officials and community counselors. Many recalled praying silently, forming prayer circles and seeing angels during the crisis. This narrative was perpetuated in many publications and productions. 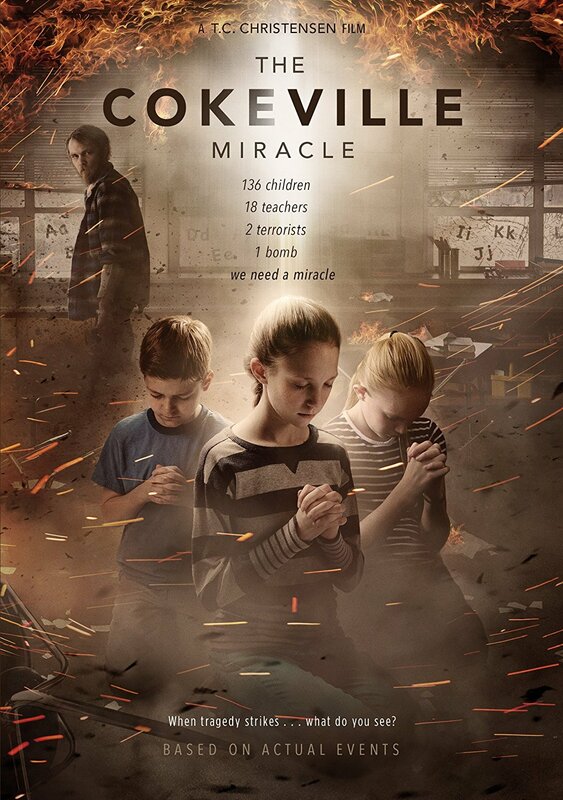 For instance, The Cokeville Miracle Foundation’s 2005 book Witness to Miracles: Remembering the Cokeville Elementary School Bombing and the Wyoming State Archives oral history project called “Survivor is My Name” both focused on the reconstructing of this narrative as a miracle instead of a tragedy. Some of the children later claimed to have seen, and were aided by, their dead grandparents. Being visited by the dead is a positive experience in the context of Mormonism. However, if the above account is accurate, the Cokeville miracle seems to parallel the famous “miracle of the seagulls,” another faith-promoting story that involved thousands of seagulls that descended upon millions of crickets, destined to destroy the crops of the Mormon pioneers in 1848. The seagull story, as with the Cokeville miracle, contains details that developed over time and were not part of the original narrative.